Elizabeth S. Ridder was born in Amsterdam, NY on May 30, 1900. The “S” stood for her maiden name. She was the daughter of Florence Sullivan, who had moved to Amsterdam as a young boy with his family from Saratoga Springs and grown up to become a lawyer. Just before she was born, Elizabeth’s Dad had accepted the position of Amsterdam City Attorney in Mayor Sam Wallin’s administration. He had a brother Dan, also a lawyer, who had served as Assistant Attorney General of New York State. Dan convinced Elizabeth’s father to move to New York City and set up a law practice. With Dan’s connections, the firm was immediately successful. So that’s how little four-year-old Elizabeth Sullivan from Amsterdam ended up spending the rest of her childhood growing up in the Big Apple. In addition to her father and her Uncle Dan, she had another uncle already living in New York. His name was Peter Sullivan and he worked in New York City’s Customs House. Peter’s son was Ed Sullivan, who was a year younger than his Amsterdam-born cousin. Ed would grow up to become a popular newspaper columnist and then the host of his own TV variety hour, which would become one of the most watched television shows in history! You can read the rest of my story about this Amsterdam-native in my new book “A Year’s Worth of Amsterdam Birthdays.” To order your copy, click here. Ed himself lived here for a while across from St Mary’s Church in the building we remember as Johnny’s Sea Food. His twin brother is buried in St Mary’s cemetery. My grandfather’s brother, Dennis Kelly, married Anna Smith on January 26, 1882. Anna Smith was born in Florence, NY around 1866 and moved to Amsterdam with her family as a young child. She eventually became Ed Sullivan’s aunt when Ed was born on September 28, 1901, in New York City (specifically in Harlem, according to Wikipedia). Ed’s mother’s maiden name was Elizabeth Smith. By the time Ed was born, Dennis Kelly was already gone, having succumbed to “dropsy and heart trouble” on September 10, 1900 at age 40. Anna lived until September 12, 1947, in Amsterdam, never having remarried. Present at her funeral was a Miss Helen Sullivan from Port Chester, NY. I guess Ed couldn’t make it. My uncle Thomas moved to New York City for a while in the 1930’s, trying to find work as a chauffeur. 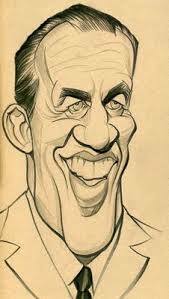 I have a letter of reference vouching for my uncle, that was written and signed by Ed Sullivan, who was at that time, I believe, a highly successful Broadway and gossip columnist in NYC. Cool story Tim. Thanks for sharing it. Although you are correct that Ed Sullivan’s cousin was Elizabeth Ridder. Ed’s father was named Peter not Patrick. There is no record that Ed ever lived in Amsterdam only speculation. Thank you for pointing out my mistake. I knew the name was Peter but for some reason referred to him as Patrick. You are also correct that there is no record that Ed Sullivan actually ever resided in Amsterdam. We do know that his older brother who died in infancy was born in Amsterdam and passed away here. We also know that Ed’s twin brother, who also died in infancy is buried in this upstate city.